Universal Design for Learning (UDL) is a scientifically based framework for developing curricula that support diverse learners. While it is possible to implement UDL without it, various technologies make it easier and more efficient to provide multiple means of engagement, action/expression, and representation. In this exploratory study, 70 educators (including in-service general and special education teachers) learned about UDL implementation in an online course designed using UDL principles. All participants were able to recognize specific UDL guidelines and checkpoints in the observed lessons across grade levels and subject areas. They also proposed revised lesson plans that extended the use of UDL to address the specific learning outcomes and learners’ variability. The thematic analysis was conducted to explore the most common ways to provide UDL principles. The proposed strategies included a combination of no technology to high technology tools, providing blended learning. While all the participants recognized the value of UDL and were eager to implement it in their learning environments, they also reflected on the need for more professional development in schools. That includes both training on the UDL framework and on specific technologies. Finally, all participants appreciated the opportunity to experience UDL firsthand. The findings from this study suggest that it is important to model UDL practices to encourage its implementation in the classrooms. Evmenova, A. (2018). Preparing Teachers to Use Universal Design for Learning to Support Diverse Learners. Journal of Online Learning Research, 4 (2), 147-171. Waynesville, NC USA: Association for the Advancement of Computing in Education (AACE). Retrieved April 22, 2019 from https://www.learntechlib.org/primary/p/181969/. Ashman, A. (2010). Modeling inclusive practices in postgraduate tertiary education courses. International Journal of Inclusive Education, 14, 667-680. Basham, J. D., Meyer, H., & Perry, E. (2010). The design and application of the digital backpack. Journal of Research on Technology in Education, 42, 339–359. Black, R. D., Weinberg, L. A., & Brodwin, M. G. (2014). Universal design for instruction and learning: A pilot study of faculty instructional methods and attitudes related to students with disabilities in higher education. Exceptionality Education International, 24, 48-64. Castleberry, G. T., & Evers, R. B. (2010). Incorporating technology into the modern language classroom. Intervention in School and Clinic, 45, 201-205. Chang, V., & Fisher, D. (2003). The validation and application of a new learning environment instrument for online learning in higher education. In M. S. Khine & D. Fisher (Eds. ), Technology-rich learning environments: A future perspective, (pp. 1–18). Singapore: World Scientific. Courey, S. J., Tappe, P., Siker, J., & LePage, P. (2012). Improved lesson planning with Universal Design for Learning (UDL). Teacher Education and Special Education, 36, 7-27. Coyne, P., Pisha, B., Dalton, B., Zeph, L. A., & Smith, N. C. (2012). Literacy by design: A universal design for learning approach for students with significant intellectual disabilities. Remedial and Special Education, 33, 162–172. Edyburn, D. L. (2010). Would you recognize universal design for learning if you saw it? Ten propositions for new directions for the second decade of UDL. Learning Disability Quarterly, 33, 33–41. Engleman, M., & Schmidt, M. (2007). Teaching an experimental universally designed learning unit in a graduate level online teacher education course. MERLOT Journal of Online Learning and Teaching, 3, 112-132. Hall, T. E., Cohen, N., Vue, G., & Ganley, P. (2015). Addressing learning disabilities with UDL and technology: Strategic reader. Learning Disability Quarterly, 38, 72-83. He, Y. (2014). Universal design for learning in an online teacher education course: Enhancing learners’ confidence to teach online. MERLOT Journal of Online Learning and Teaching, 10, 283–298. Kumar, K., & Wideman, M. (2014). Accessible by design: Applying UDL principles in a first year undergraduate course. Canadian Journal of Higher Education, 44, 125–147. Lock, J., Altowairiki, N. F., Hill, S. L., & Johnson, C. (2017). A journey through the development of online environments: Putting UDL theory into practice. Handbook of Research on Innovative Pedagogies and Technologies for Online Learning in Higher Education. Hershey, PA: IGI Global. Meyer, A., Rose, D. H., & Gordon, D. (2014). Universal design for learning: Theory and practice. Wakefield, MA: CAST. Navarro, S. B., Zervas, P., Gesa, R. F., & Sampson, D. G. (2016). Developing teachers’ competences for designing inclusive learning experiences. Educational Technology & Society, 19, 17-27. Parker, D. R., Robinson, L. E., & Hannafin, R. D. (2008).“Blending” technology and effective pedagogy in a core course for preservice teachers. Journal of Computing in Teacher Education, 24, 49-54. Rao, K., & Tanners, A. (2011). Curb cuts in cyberspace: Universal instructional design for online courses. Journal of Postsecondary Education and Disability, 24, 211–229. Rao, K., Edelen-Smith, P., & Wailehua, C. (2015). Universal design for online courses: Applying principles to pedagogy. 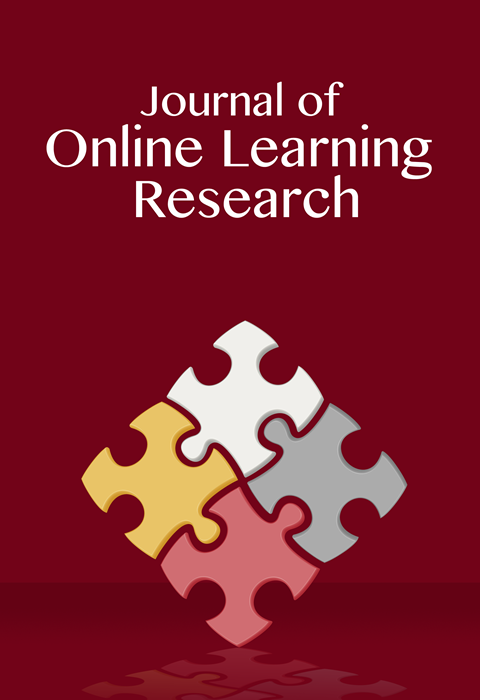 Open Learning: The Journal of Open and Distance Learning. 30, 35-52. Rao, K., Ok, M., & Bryant, B. R. (2014). A review of research on universal design educational models. Remedial & Special Education, 35, 153-166. Robinson, D. E., & Wizer, D. R. (2016). Universal Design for Learning and the Quality Matters Guidelines for the design and implementation of online learning events. International Journal of Technology in Teaching & Learning, 12,17-32. Scott, L., & Temple, P. (2017). A conceptual framework for building UDL in a special education distance education course. Journal of Educators Online, 14, 48-59. Smith, F. (2012). Analyzing a college course that adheres to the Universal Design for Learning (UDL) framework. Journal of the Scholarship of Teaching and Learning, 12, 31–61. Spooner, F., Baker, J. N., Harris, A. A., Ahlgrim-Delzell, L., & Browder, D. M. (2007). Effects of training in universal design for learning on lesson plan development. Remedial and Special Education, 28, 108-116.